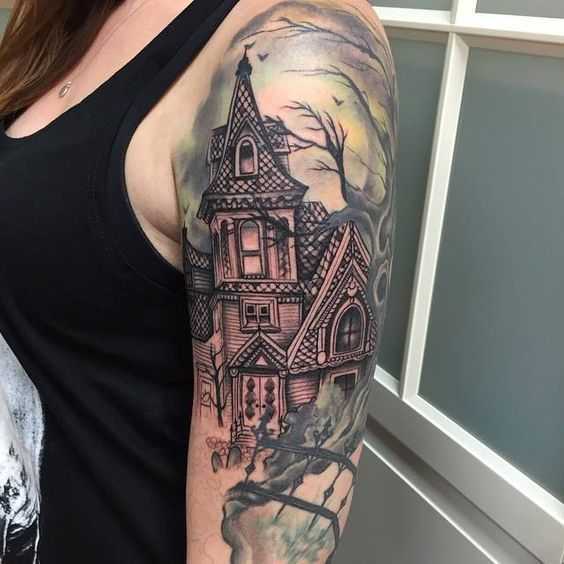 As the Halloween season approaches, we want to celebrate it by sharing some of the creepiest Halloween inspired tattoo art. 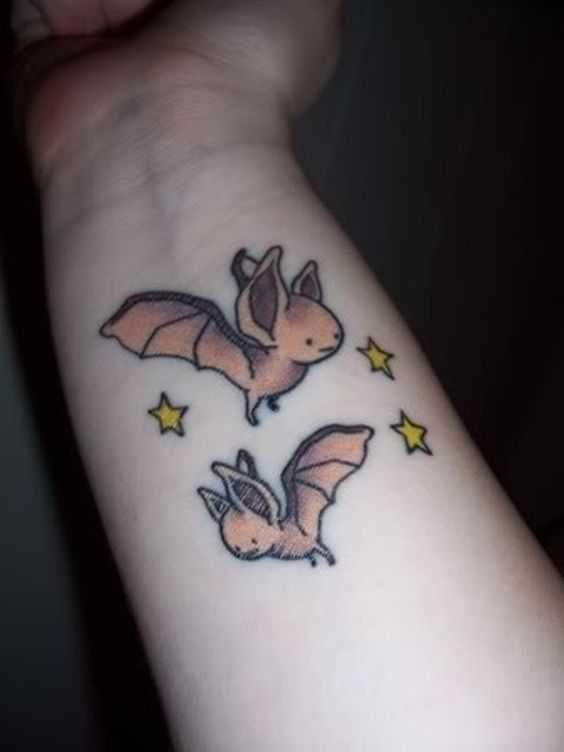 Tattoos are one of the best ways to express yourself, especially your love for something, so here are the top eleven Halloween themed tattoos by people who are serious lovers of the creepy and the crawly. 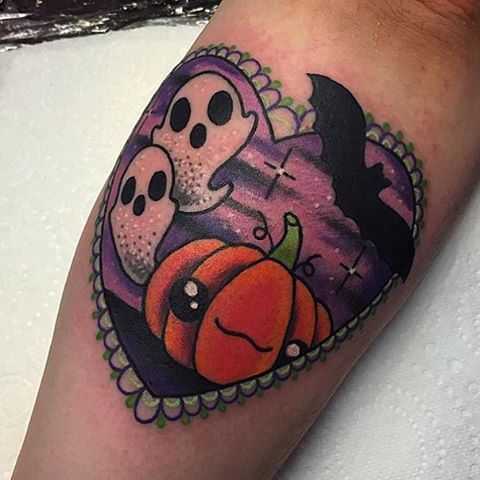 This spooky tattoo is both daring and delightful; with its bold colors, unique art style, and crisp, clean lines, this amazing art is sure to wow any Halloween lover. 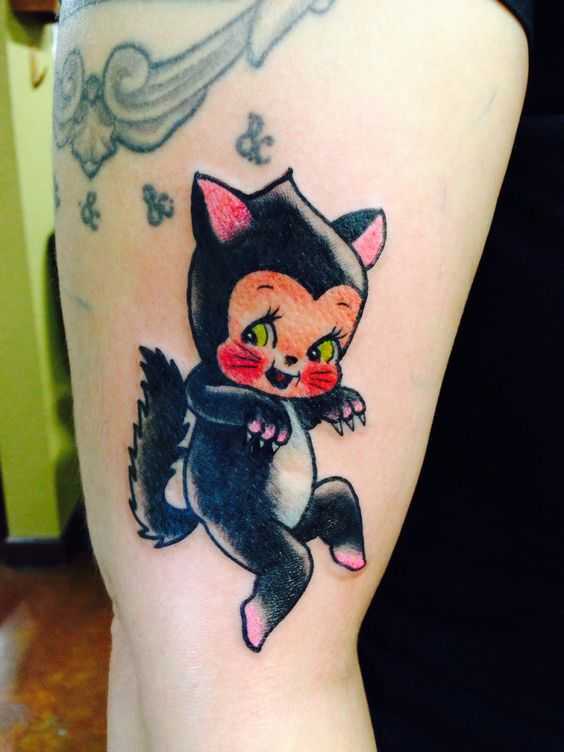 Especially the ones that love to combine the creepy and the cute. The witch is a classic design for any Halloween holiday groupie. But when you get something etched into your skin forever, you want something unique that still upholds the traditional flare. 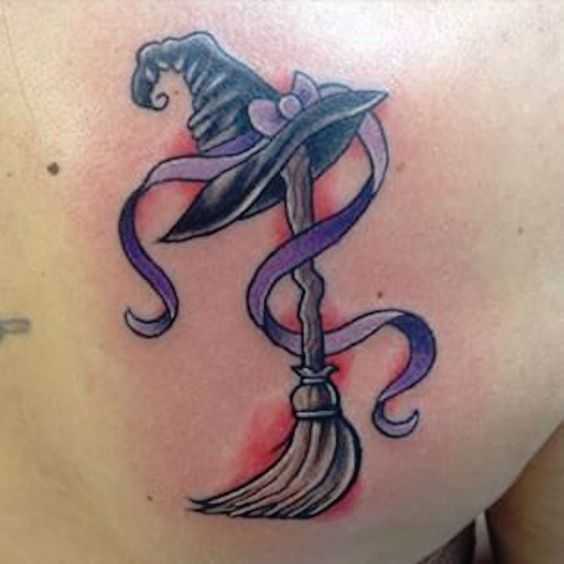 This tattoo is the perfect blend of classic and modern; the old, rickety broom giving it the antique look, while the witches hat is adorned with a cartoonish ribbon, creating a charming wistful look. This Tim Burton tribute is nothing short of beautiful. The style, the wide ranges of blue with slight pops of color – everything about this tattoo screams elegance and class. If you are looking for a more feminine art for your Halloween love, this is it. We all adore Nightmare Before Christmas – ii’s honestly a classic no matter what anyone says. But this is not a tattoo – it is a full-blown tribute. The details tell the entire story of our beloved movie, and the dark, morose colors give it a life of its own. So sit here and bask in its brooding glory. 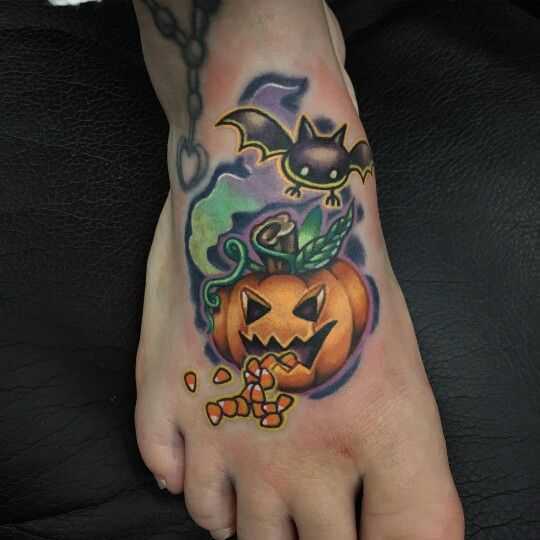 This Halloween tattoo is pretty and playful. The vivid, contrasting colors, the cute cartoon style, the candy corn – what is not to love about it? Feel free to change the style and add you own details. This tattoo may be simple, but sometimes, sharp stark lines and extraordinary design are all you need. The simple thought of making the bats fly different directions, different sizes, and slightly different shapes makes this art look well thought out and planned. 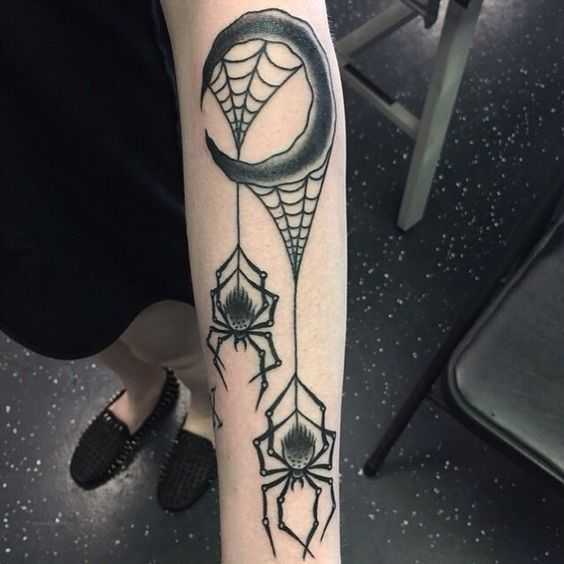 Simple, clean, and creepy. What more do you need? Speaking about sharp lines, take a long, lustful look at this haunted mansion sleeve. The startling contrast of the black and white hair-raising home against the colorful sky gives this arm art an entirely enticing, enamoring effect. This tantalizing tattoo fights for the first spot in this top eleven if it is not already on top. The sheer amount of technique, shading, and detail in this simple black in white is anything but simple. 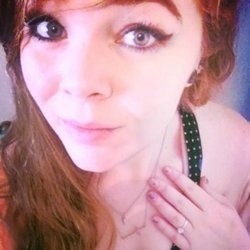 It is unique, understated, and understandably one of the best and beautiful on this list. 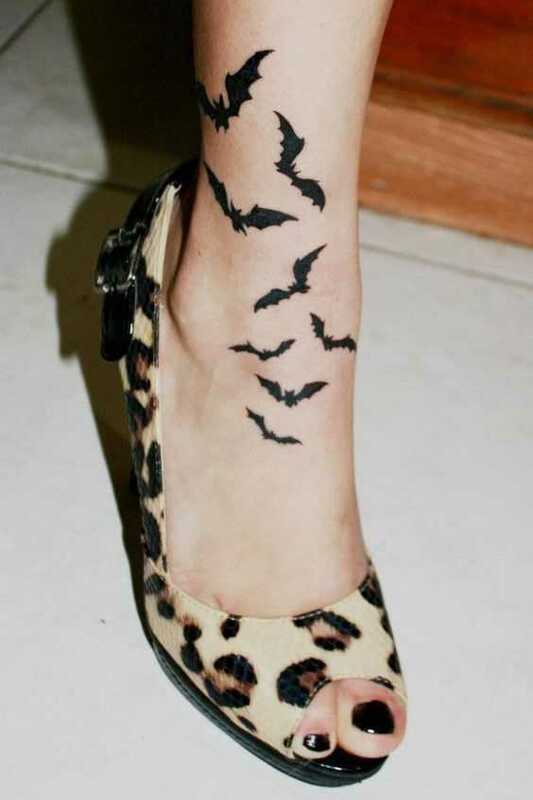 Again, bats are a traditional symbol of the Halloween holiday, but this wistful wrist art paints the Halloween creature in a whole new light. Their cartoonish charm and smiling faces are cute as can be and the perfect addition to anyone’s arm candy. This old-style art is absurdly adorable. The deep colors, the playfulness, and the simplicity… Anyone can appreciate this shout out to Halloween and its famous black kitty cat characters. 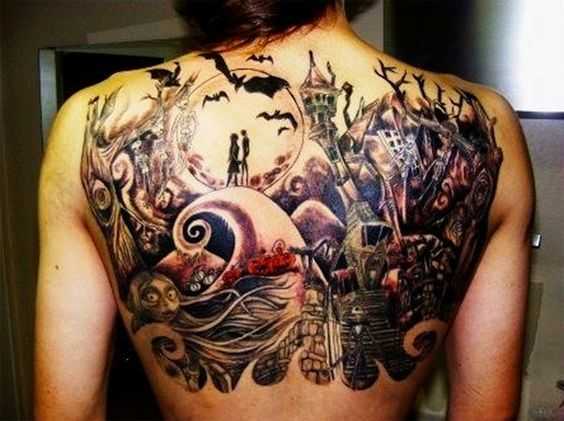 This tattoo is another prime example of fantastical design and meaning. The mix of black and white, color, and style not only make this art distinctive but dignified. 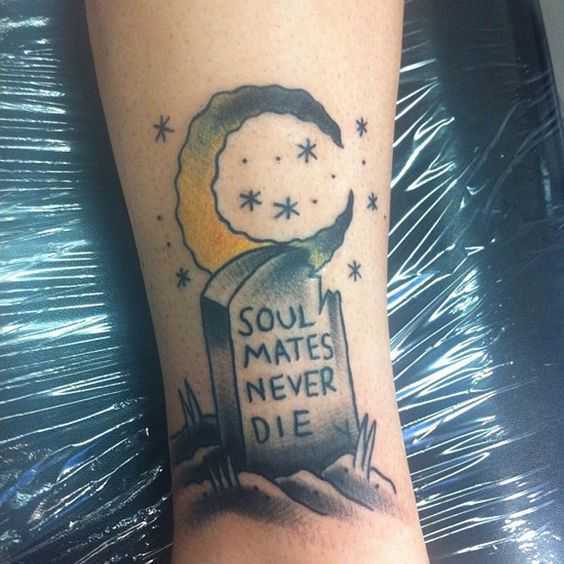 And I mean, what better way to forever remember your loved one than with a morbid tattoo? 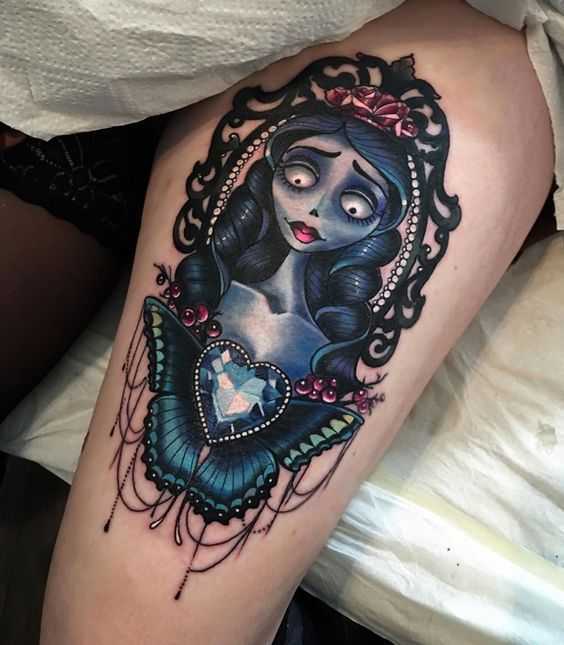 Now that you have seen the top eleven creepy and crawly inspired Halloween tattoos, take inspiration, go out, grab some candy, and show your love for the haunted holiday by immortalizing it on your body in color and ink. Don’t forget that you can get a temporary tattoo as well.